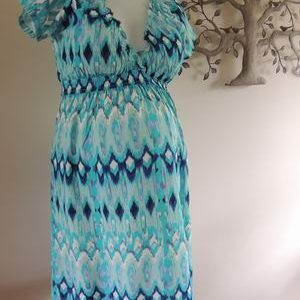 A beautiful dress for Spring/Summer by Ninth Moon Maternity. 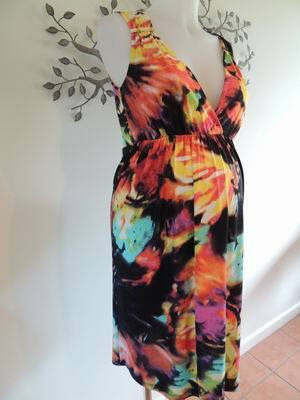 It is in a stunning multicolour knit print with a crossover neckline. The fabric is a ‘dry knit’ which gives it a really sensuous feel, it drapes the body beautifully, you will receive so many compliments. The dress is sleeveless and is designed so that you can wear it after baby is born as you will be able to discreetly breastfeed. 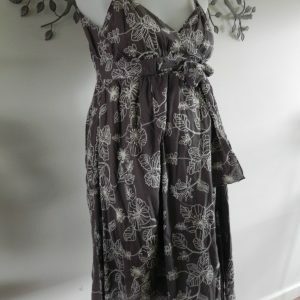 Be the first to review “NEW Printed Knit Maternity Crossover Dress” Click here to cancel reply.